Anyone who has read my blog since I started it back in 2015 knows I have relied heavily on the website Atlanta Trails to find places to visit and trails to hike throughout the state. I've always referenced them and linked them in my posts if they have a page about a particular trail I've visited. They have fantastic info on all the ins and outs of a trail, including directions, recommended gear, and great pictures. They also heavily promote "Leave No Trace" principles and responsible hiking with dogs, which I am a big fan of. SO, a while back I noticed they were looking to add some new Ambassadors to their group and I took a huge leap and applied. That's certainly a trend this year, isn't it? 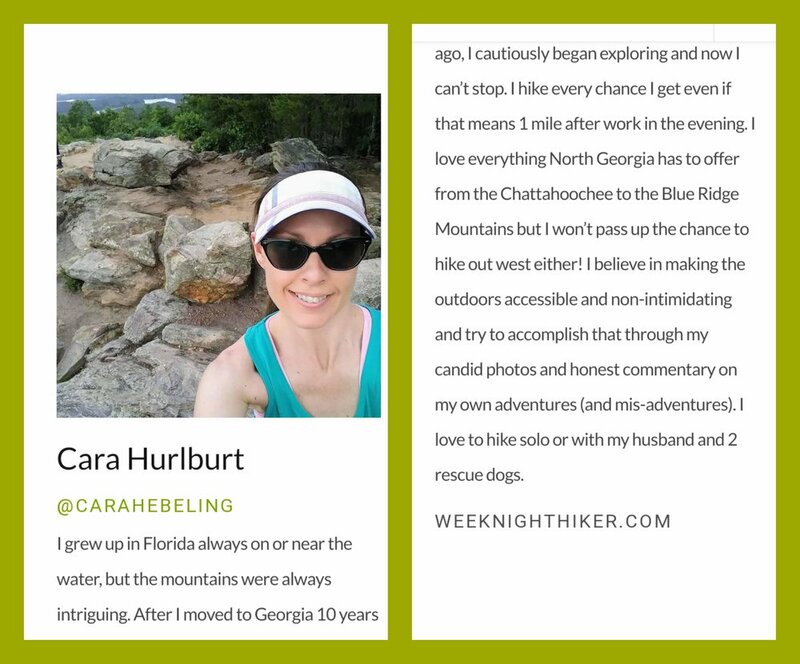 Although I love my paying job (which I also took a huge leap by starting this year in January), I am really trying to find outlets outside of work which has led me to work on my writing, hike more, and apply to be a Atlanta Trails Ambassador. I just recently learned they chose me for their Ambassador program! I have never done anything like this before and I am excited to get started. It's rare for me to really promote a brand or website, unless it's really something I stand by, which is the case for Atlanta Trails. They have been around for many years and actually operate a few other websites as well, focusing on hiking in North Carolina (maybe someday I'll hike in NC) and outdoor gear. But again, what I like most is their promotion of responsible trail use. So I encourage you to check out any of the 3 websites I've mentioned and give them a shot. And as a bonus, if you would like to order any Atlanta Trails merchandise, you can use my coupon code of "carahebeling" at checkout. I would also like to be clear, I am not receiving compensation for any of this. Just getting to be a bit more focused with my writing and photography and being part of this amazing hiking community in Georgia is benefit enough for me!